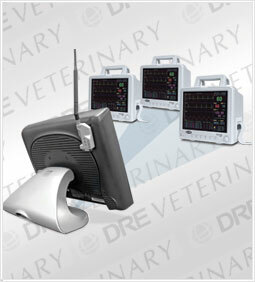 Increase your Veterinary practice efficiency with DRE's new cutting edge technology. Save time and reduce error rates. 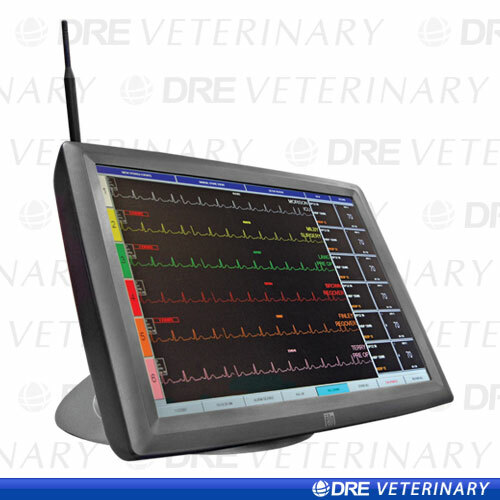 Wirelessly monitor vital signs and manage patient data with the DRE Vetrec PDM. 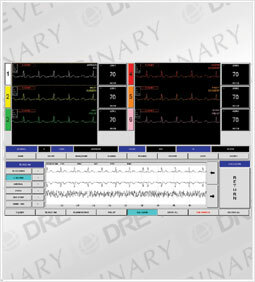 The DRE Vetrec PDM (Patient Data Management) Monitoring System uses split screen technology that allows the monitoring technician to review, edit and enter patient information while maintaining complete control and observation of all patients in the system. DRE's Vetrec PDM is a perfect fit for the surgery rooms. 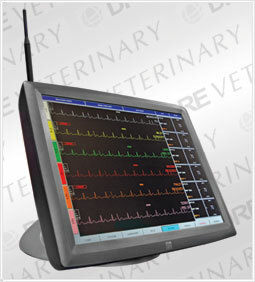 The Vetrec PDM monitors, displays, and stores information sent from up to six Waveline Pro vital signs monitors in real time. DRE's state of the art wireless technology provides a wireless link that allows the Waveline Plus to be portable thru pre-op, surgery and post-op. Contact a sales specialist, and we will work with you from start to finish creating a complete system that fits your facilities needs. 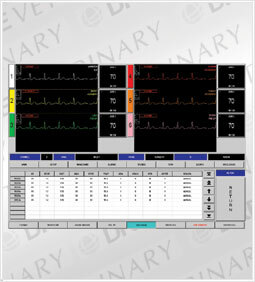 1, 12 and 24-Hour Graphical Trends of HR and Abnormals and all other vital signs 1, 12 and 24-Hour Tabular Trends of Abnormals, VTACH, VFIB and ASYSTOLE and all other vital signs.